The sound design can ofter get overlooked in video games, whether it be in development or the appreciation from the gamer. Ubisoft is careful not to let the audio side of things disappoint when Red Steel 2 attacks our senses next week. 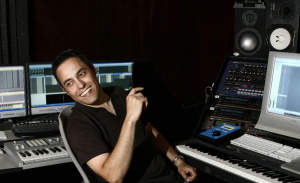 The highly-anticipated Wii MotionPlus title will contain several original scores by renowned composer, Tom Salta, whose past compositions have included award-winning singer/songwriters, multiplatform video games, and numerous TV shows, adverts and official film trailers, not forgetting that he was also involved with the soundtrack of the original Red Steel. Guitar performances by veteran studio musician Steve Ouimette have been skilfully blended with Eastern instruments such as Chinese percussion, the shakuhachi, fue and pipa, as well as the harmonica and violin. 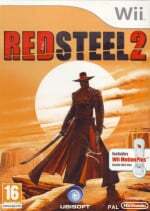 For an idea of what you can expect from the Red Steel 2 soundtrack, head over to Salta's website where you can listen to three compositions, entitled "Red Steel 2 theme clip", "Vultures Prayer", and "Back to the Old Temple". Please to stop coming out with video games. I have too many to buy! I'm a little sad that other than this and Monster Hunter 3, there aren't too many 3rd party Wii games to get excited about. At least none that the publishers' care for us to get excited about. @brandonbwii, those are two exclusives but wii has also some multiplatforms coming up, and don't forget about games like Epic Mickey. I think there are quite a few still. I mostly buy 3rd party and between this, Fragile Dreams, Samurai Warriors 3 and Sakura Wars I think I'll be pretty busy for the next few months! Ubisoft really seemed to have pulled out all the stops for this one - a great soundtrack too? I really hope people will give it the success it seems to warrant!